Luis Palau, an international evangelist, seeks to get local churches working together to serve their communities. 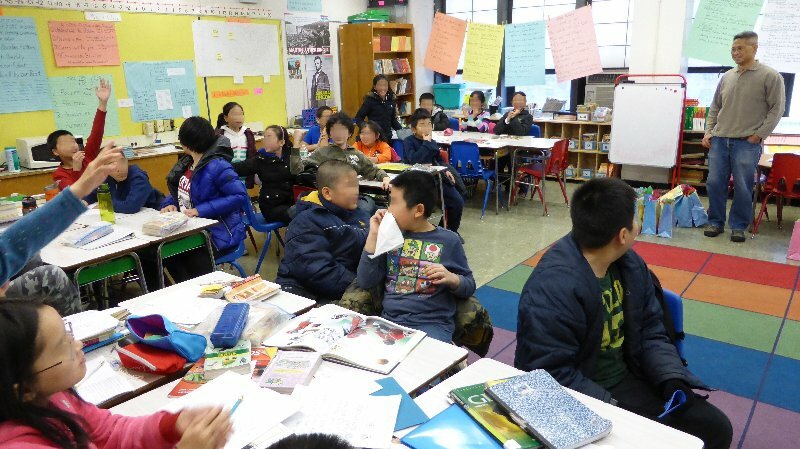 In response to his initiative in New York Chinatown, the following story emerged as reported by Austin Woo of Oversea Chinese Mission. 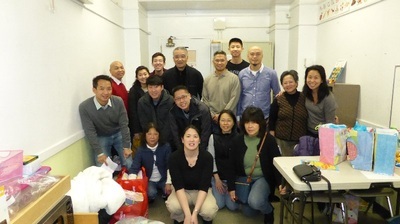 On December 22, 2014 eight Chinatown churches went to PS 2 to distribute gift bags. 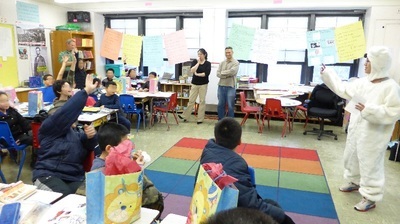 The bags were given to six fifth grade classes for a total of 125 students. During the session a church member dressed up like a polar bear to distribute the gifts while interacting with the children, much to their delight. Some of the children who were in “special situations” (e.g. single parent homes, no parents, or being raised by grandparents) were “twice-blessed” when they received an additional gift because of their circumstances. The kids, teachers and principal were very appreciative and thankful of the many churches that participated displaying their love, care and generosity to the children. Some of the churches are now preparing to participate in the Chinatown Chinese New Year Parade which is scheduled for February 22, 2015 at 1:00 pm. To date, two churches have agreed to march. The committee working on the event hopes to find at least 4-5 churches marching in the parade. At the end of 2013 Chinese Alliance Church of Westchester (CACW), located in Port Chester, New York, approached Alan Rathe with a question. 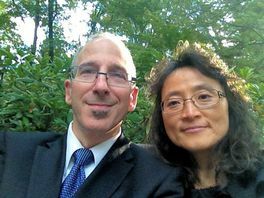 The church needed a minister for their English congregation and wondered if Alan would consider serving as their a full-time English Ministries Pastor. The opportunity offered was not something Alan sought or even contemplated previously. But, now that the church had approached him, he felt obligated to ponder and pray about the matter with his wife, Elissa. As they sought God’s will about this new venture, he made it clear to the both of them that Alan was to accept. Upon informing the church of his acceptance, the church and Alan agreed to a start date of November 1 with the church officially installing him on November 9. The move represents for Alan a new role and direction. For the past twelve years, he served God as a Worship Pastor at the Queens Christian Alliance Church, in Flushing. As a worship pastor, Alan was mainly responsibility for the music, readings and presentations of the weekly worship service. With his new responsibilities, Alan will take up the role of spiritual shepherd, overseeing the spiritual growth, health and well-being of those in the CACW English Congregation. CACW’s primary outreach group is the overseas born Mandarin-speaking Chinese who reside mostly within Westchester County. The Chinese congregation consists of some 200 people who attend one of the two services offered by the church, the main one held on Sunday mornings or a smaller one that meets in the afternoons. The church resides within primarily a Latino community. But, that hasn’t stopped the church from trying to reach out to them. Since the church views evangelism as one of its core principles, CACW has and continues to share the Gospel with those living in and around their community. Over the years, CACW has hosted numerous after school programs and summer camps for that purpose. However, to date only a few Latino adults have participated in the English congregation service. One cannot help but wonder how that might change with the arrival of Alan. Alan is married to Elissa, who is a psychotherapist. The two recently had the pleasure of celebrating their twenty-fifth wedding anniversary. We offer Alan and Elissa congratulations and best wishes on their anniversary. As for their new ministry, it is our prayer that God would grant them strength, wisdom, fortitude and grace as they embark upon this new journey. Rev. 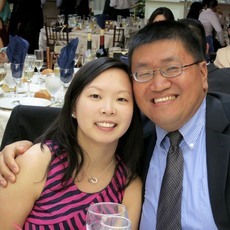 Ron Chen is an Associate Pastor of the English Ministry at Queens Herald Church, C&MA. Until recently, he served Queens Herald full-time. During the summer, Ron reduced his work hours at the church when he finally accepted the restless streak God had given him. Up until then he fought it, struggled with it, and wondered why God had made him that way. God wires each of us differently. He wires us according to the mission and work he gives each of us to fulfill. For some, we know from the start of our calling what God would have us to do. For others, it is a journey of discovery that could last for weeks, years, or even decades. When Ron surrendered and accepted his restless spirit, he realized that God did not wire him to serve an established church. But, if not in an established church; then what, where and how? As he pondered and prayed about what God would have him do, he began to see that his restless spirit made him a better fit for planting churches. In that context, he could utilize his restless spirit to plant, build up, and establish new churches for the next generation. Rare are those who have the skills, patience and fortitude to carry out such "unsettling" work. But such work, without question, is sorely needed; especially here in the New York/New Jersey region where there is a large Asian American community. We rejoice that God raised up such a worker among us and has called him to go forth in service to him and the Asian American community in our region. Ron hopes to plant his first church in Hicksville, Long Island. The area is known to have a large Asian Americans population while having only a few Asian American churches. His research of the area has shown that the Asian American population there has more than doubled in the last ten years. He had just determined that God wanted him to be a church planter when an unsolicited and unexpected invitation came knocking at this door. The Chinese Program at the Alliance Theological Seminary wanted to know if he would be willing to serve as the program's coordinator. Since he never sought or desired such a position, he promptly dismissed the idea and turned down the invitation outright. But, those making the offer persisted and asked him to reconsider. Upon receiving a second invitation, Ron realized he needed to seek God's will about the matter and not simply dismiss the invitation. After much prayer and discussion with his wife, Candice, God made it clear to them that he should accept the position. Initially, the Chinese Program at The Alliance Theological Seminary was launched to help prepare and train both ABC (American Born Chinese) and OBC (Oversea Born Chinese) pastors for the Chinese Church. However, as time went by, the vast majority of students who went through the program were OBC. While serving as the program's coordinator, Ron hopes to rebalance the ratio of ABC/OBC students and re-establish the program's initial goals and roots. Ron also sees the program as underutilizing its alumni. He feels the alumni could play an important role in the development and growth of future pastors for our churches. As Coordinator of the Chinese Program, he will work hard to establish mentoring relationships with the alumni for the benefit of the students, our churches, as well as the participating alumni. In addition to the above responsibilities, Ron is also seeking to add the title of Doctor of Ministry to his name. He is currently pursuing a D. Min. in Christian Leadership in the Global Context at ATS. The degree is a 36 credit, 3-year program. As one can imagine, pursuing the above three responsibilities will keep Ron very, very, very busy. But, it appears that Ron will need "to toss one last ball into the air;" fatherhood. Ron and Candice are expecting a bundle of joy in early December when their first child is due to arrive. Ron's plate, needless to say, is full. In fact, it is filled to the brim and overflowing. Pray that our Lord will bless Ron mightily in the months and years ahead. Pray that our Lord will give him guidance, wisdom, endurance and strength. 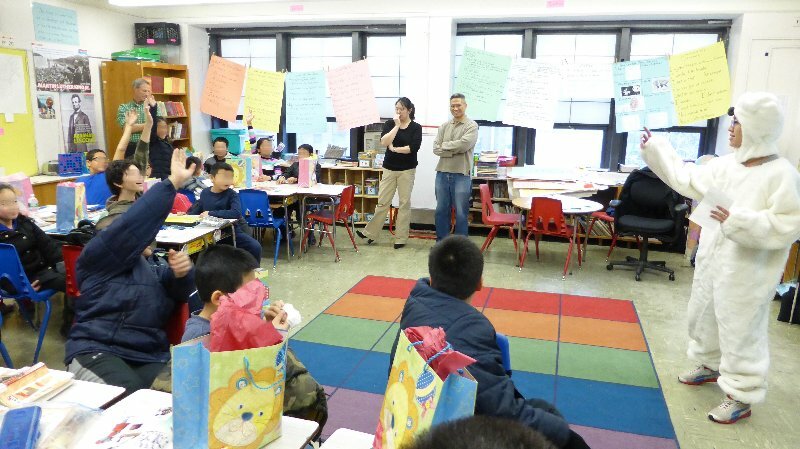 And pray that our Lord will use Ron to make a difference in the days to come, in the Chinese church in the NY/NJ Region.